Having discovered one or two people on Blipfoto who use it, I’m finding intentional camera movement (ICM) interesting as a means of artistic expression. I make at least one photo per day; a few weeks ago I settled on wiggly wednesday as a theme – the results arising from multiple images taken with random camera movement, chosen for their visceral response, blended together and toned black&white as always. Making it a “Wednesday” thing is a great way to balance exploring the effect regularly with not overdoing it to the point of boredom. Anyway, this morning I discovered it’s also viable on the mobile phone – in low light of a dull day among the trees its automatic exposures were long enough to let rip and see what happened. (two frames blended in the Gimp and toned and processed in Darktable). 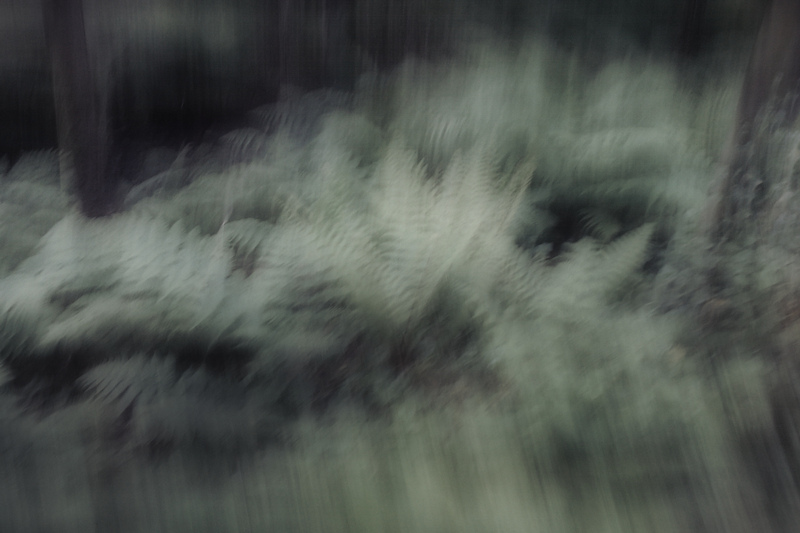 This entry was posted in mobile photos, nature and tagged art, blur, ferns, green, ICM, motion, movement, roadside, trees.